After you've purchased and appraised your jewellery, it comes time to insure your treasures by getting a personal property insurance policy. 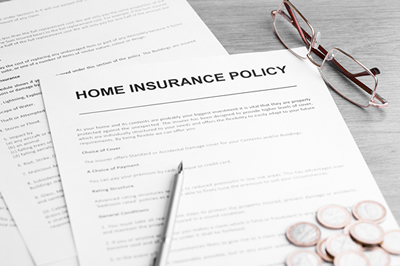 We recommend getting in touch with your insurance company that already insures your home. Every insurance company provides you with several options to protect your property whether it is basic coverage, all perils on building and specified contents, or all perils on valuables and collectibles. Your insurance company will guide you, using informational pamphlets, which option is best for your needs. For jewellery items that are valued under $1,000, we recommend using the basic home coverage provided by your insurance company. This would cover any loss in your home from $3,000 to $5,000. Note that this type of coverage usually involves a deductible of about $500 when a claim is made. Jewellery items that are valued for more than $1,000 should be listed on a separate rider on your policy. The all perils option will help you safeguard your valuable possessions. Items insured under this type of option are therefore no longer subject to special policy limits and most may be covered at a reduced deductible, or with no deductible. Have your insurance adjuster contact the gemologist/appraiser who appraised the jewellery to further assist in proper replacement of the item(s). How do I get my jewellery insured? Get your jewellery appraised by a certified gemologist. Provide a copy of the original appraisal to your insurance provider. Your insurance company will remind you to update the appraisal on your jewellery every two to three years depending on the value of the item. Always have your jewellery cleaned and settings checked by your jeweller or stop by IGL anytime for a quick check and cleaning. This service is always free.